How to deal with coats, shoes, backpacks, papers and all the stuff that comes in the door when you have a small space. Long and lean&nbsp;This floor-to-ceiling tension-pole mirror is meant to be part of a closet system, but on its own in a small entryway it makes use of vertical space, with hooks for hanging coats, scarves, or small accessories such as headphones, sunglasses and leashes.&nbsp;Stolmen mirror, $92 at&nbsp;IKEA&nbsp;(750 E Boughton Rd, Bolingbrook, 630-972-7900, and 1800 E McConnor Pkwy, Schaumburg, 847-969-9700). Self storage&ldquo;Putting something that&rsquo;s traditionally from a gym or school in your home is unexpected and really fun,&rdquo; Davis says. 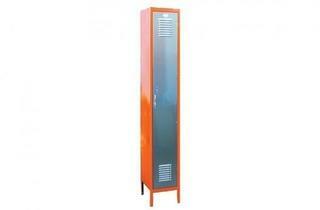 Narrow and vertical, lockers can fit into small spaces and provide tucked-away storage for bulky items like sports gear and outerwear. &ldquo;It&rsquo;s the ultimate in closed-cubby storage systems,&rdquo; Paradise adds. &ldquo;And everyone can have their own.&rdquo;&nbsp;$638 at&nbsp;twentygauge.com. Sitting pretty&ldquo;One thing that says &lsquo;mudroom&rsquo; versus just &lsquo;entry&rsquo; is [a place where] you can sit down,&rdquo; Paradise says. 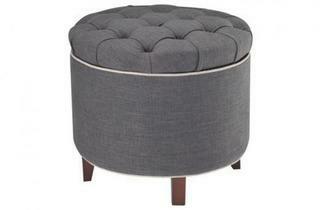 She suggests seating, like this ottoman, that doubles as storage for winter gear or pet accessories. 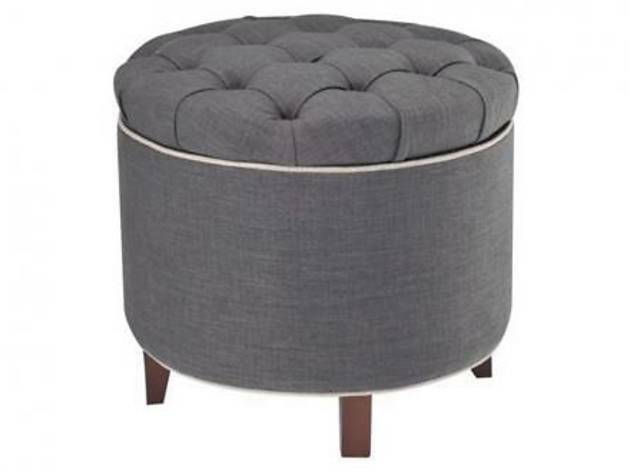 &ldquo;This pouf can be tucked underneath a console, and it&rsquo;s at kid level,&rdquo; Davis adds, so little ones can easily store their own stuff.&nbsp;Safavieh Amelia tufted storage ottoman, $144 at&nbsp;Target&nbsp;(2209 Howard St, Evanston, 847-733-1144, and other locations). 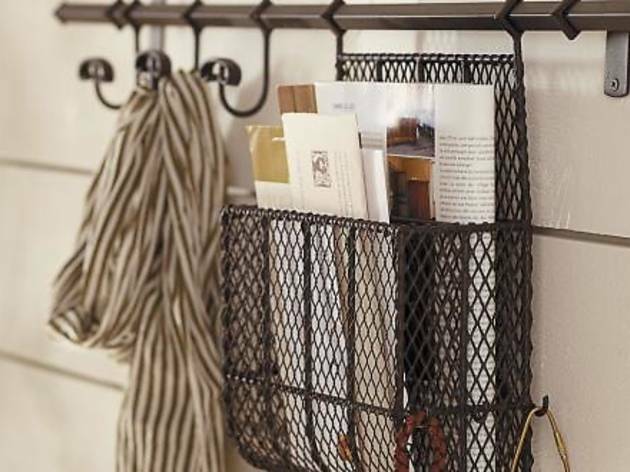 Hang timeAn iron-and-brass wall-mounted storage system comes with three movable hooks and a mesh basket that can be easily arranged in any configuration. The unit is heavy-duty enough to hang coats. &ldquo;A traditional style with a vintage look,&rdquo; Davis says. &ldquo;It works.&rdquo;&nbsp;Wilcox entryway modular storage system, $119 at&nbsp;potterybarn.com. 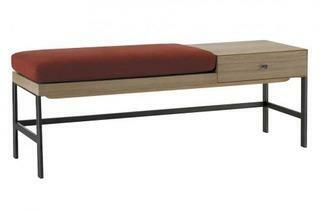 Lighten your load&nbsp;If you have a little more space, this modern bench is a perfect multipurpose entryway piece. &ldquo;There&rsquo;s a place to sit, and there&rsquo;s a hard surface for putting something down, like a travel mug,&rdquo; says Paradise, who suggests tucking baskets or other storage pieces under the seat to stash additional stuff. 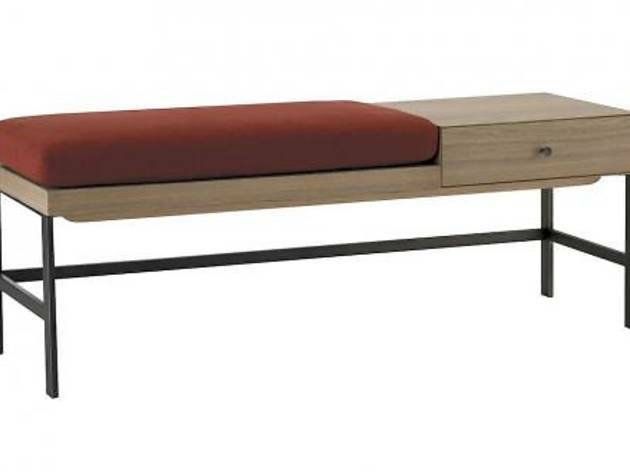 &ldquo;It&rsquo;s all about levels and building up.&rdquo; The bench drawer also allows you to store mail or hats and gloves where kids can easily access them.&nbsp;Offset bench, $300 at&nbsp;West Elm&nbsp;(1000 W North Ave, 312-867-1770, and 2155 W 22 St, Oak Brook, 630-368-3591). 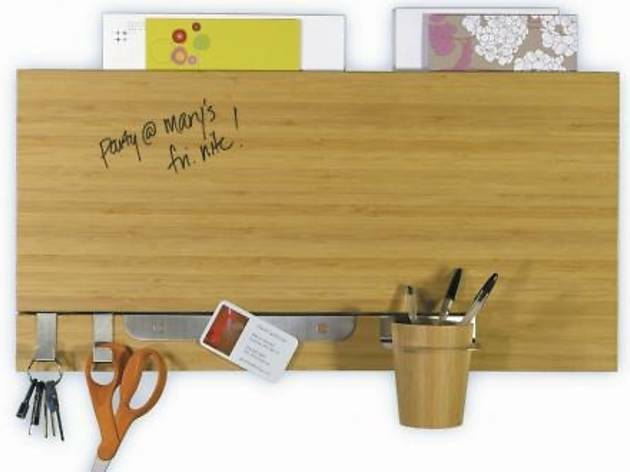 The write stuffOrganize mail and papers, plus keys, sunglasses and writing utensils and leave reminder messages on the dry erase panel. 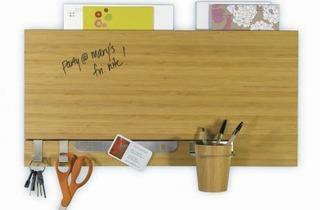 &ldquo;Everything in one little station!&rdquo; Paradise says.&nbsp;Bamboo dry-erase channel panel, $70 at&nbsp;seejanework.com. “The more people, the more stuff,” says Courtney Davis, design consultant and co-owner, with Lauren Paradise, of Chicago design company kelly + olive. But even if your front door opens directly into your living room, Davis says creating a mudroom is less about having all the space you need and more about smart storage.